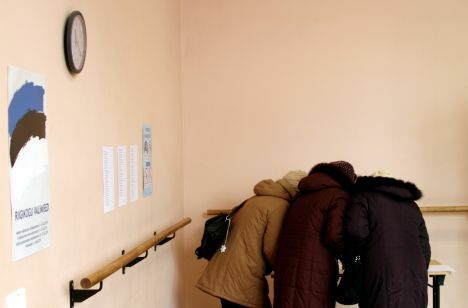 In the Estonian parliamentary election held in e-voting and in polling stations on the main election day of Sunday, February 3, according to preliminary results the opposition liberal Reform Party has won. Estonian public broadcaster ERR and the country’s State Electoral Committee report that in the race for the 101 mandates of the Riigikogu, Reform Party has won 34 mandates (up by four seats since the 2015 election) leaving the Centre Party, which currently rules in the government and the capital Tallinn, in the second place with 26 mandates (down by one). Other parties that have surpassed the 5% threshold, are the euro-sceptic Estonian Conservative People’s Party with 19 mandates (up by 12 seats), the national-conservative Pro Patria with 12 mandates (down by two) and the main loser of the election, the Social Democratic Party with 10 mandates (down by 5). The leader of the Reform Party, Kaja Kallas, has expressed readiness to form a coalition together with all other parties except the Estonian Conservative People’s Party.